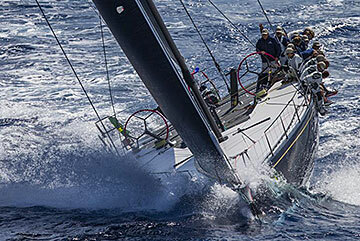 NEB’s latest launch won a tight battle at the 23rd Maxi Yacht Rolex Cup in Puerto Cervo, Italy. Jude/Vrolijk designed, Bella Mente, is the second successful IRC Mini Maxi built by NEB for experienced American offshore sailor Hap Fauth. 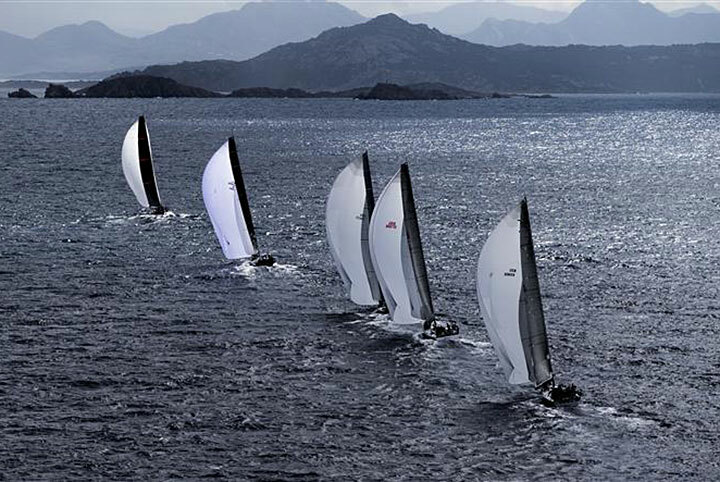 This year’s Rolex event, organized by the Yacht Club Costa Smeralda (YCCS) and the International Maxi Yacht Association (IMA) showcased the latest thinking and technology in the Mini-Maxi class with two new boats on the starting line. Bella Mente faced stiff competition in a tough class which included two time Mini Maxi Rolex World Champion, Ran 2 (Judel-Vrolijk 72) as well as the Mark Mills 68, Caol Ila R (ex Alegre) also built by NEB. Consistency and durability paid off for Bella Mente in a week sailed through a range of conditions. 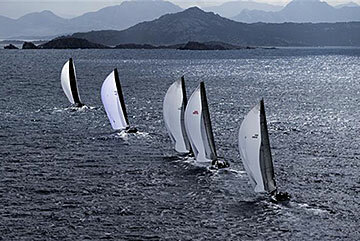 When a highly anticipated showdown on the final day of racing was cancelled due to lack of wind, Bella Mente and Ran 2 were tied at 12 points each for the event. The tie break went to Hap Fauth and crew on Bella Mente(USA) over Niklas Zennstrom’s Ran(GBR). This prestigious annual event proved a great opportunity for New England Boatworks to display NEB technology and state of the art boatbuilding on an international stage. Credit for the impressive pictures of the Rolex Championship goes to well known Italian photographer Carlo Borlenghi.